Located on the west coast of Mexico, this picturesque seaside resort city is the epitome of fun and relaxation. 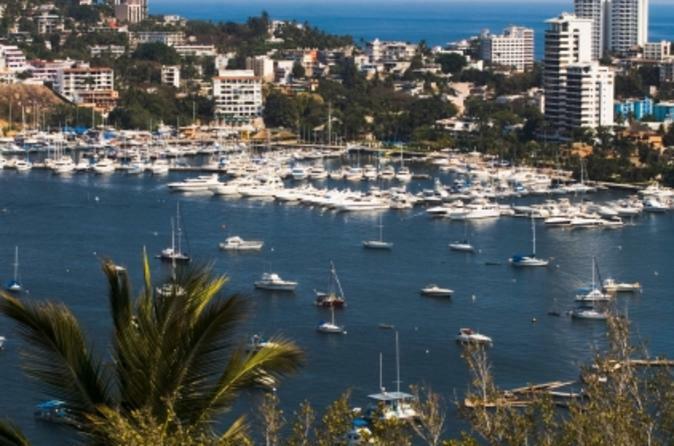 Once the playground of Hollywood's rich and famous, Acapulco has everything a visitor could want - a rich history (including pirates! ), vibrant nightlife, stunning scenery and those extraordinary cliff divers! The Acapulco city tour takes you to the most interesting and historic points in Acapulco including the main square and the hotel zone. Included is a relaxing drive along the scenic highway, where there will be a stop to take photographs of beautiful Acapulco Bay. Continue on to the spectacular pyramid shaped Princess Hotel where you will have the opportunity to stroll through the stunning tropical gardens. Before returning to the city, there will be a stop at a craftwork market for some local shopping! After passing through the hotel zone and the main square, you will finally reach the La Quebrada cliffs where you will be able to witness the world famous daredevil cliff divers, who risk their lives in the daily daytime and nighttime shows.